One Piece chapter 849 was released a few days ago, meaning that fans are now eagerly waiting for the next chapter to arrive. 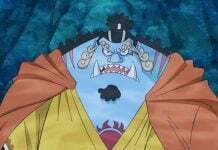 Currently, because of what happened in the previous chapter, a war between the Vinsmoke Family and Big Mom is expected to take place soon. So without any further due, here is what is expected to happen in One Piece chapter 850. Big Mom Pirates Attacked Reiju? One Piece chapter 849 was an important chapter as it gave birth to a lot of questions. 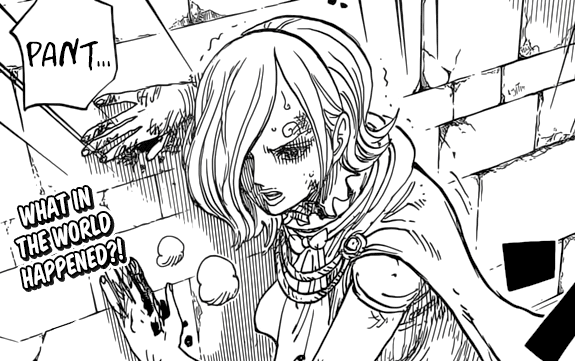 Sanji’s sister, Reiju was seen in wounded condition, but the person who assaulted her was not revealed. However, rumor is that one of Big Mom’s minions attacked her. If this is really the case, then the Vinsmoke family won’t take this lightly and will surely seek revenge. The next chapter of One Piece will be filled with surprises as the person who attacked Reiju will be revealed. 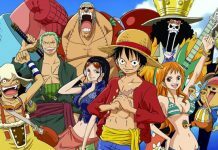 The culprit will play an important role because if it turns out to be one of the Big Mom pirates, then a war can start. Currently, there are three suspects. 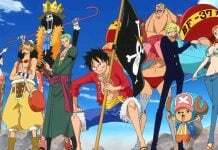 The captain of the Kuja Pirates, Boa Hancock, Captain of The Firetank Pirates, Capone, and someone from the Germa 66 is the last. If it turns out to be Big Mom behind the attack, then a battle between The Vinsmoke Family and The Big Mom Pirates will take place soon. Someone Else Was Behind The Attack? However, some rumors claim that Big Mom is currently busy dealing with Luffy and the others, so she has no time to focus on beating up Reiju. If this is the case, then a new character will be introduced soon. So fans can definitely expect to see some big new surprises in the coming chapter. On the other hand, Brook was captured by Big Mom in the last chapter. Now, rumor is that Big Mom will extract Brook’s soul in the next chapter. She will think that she has managed to kill one of the Straw Hats, but Big Mom will be in for a surprise as Brook will trick her by making his soul leave his body, which is what he always do. 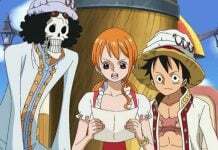 So he will buy some time for Luffy and Nami to escape from the prison. One Piece chapter 850 will be released on December 26, 2016. The chapter will reveal the person who attacked Reiju. If Big Mom did it, then the Vinsmokes will team up with the Straw Hats to take Big Mom down. Let us know if you’re excited for One Piece chapter 850 or not in the comments below. Previous articleKristen Stewart Spotted Bloody And Disheveled After Date Night With Model Stella Maxwell; Is She Cheating On St. Vincent?